Gist of the book as available on GoodReads and the Author's website:Gifted with a mind that continues to impress the elders in his village, Ichmad Hamid struggles with the knowledge that he can do nothing to save his Palestinian friends and family. Ruled by the Israeli military government, the entire village operates in fear of losing homes, jobs, and belongings. But more importantly, they fear losing each other. On Ichmad's twelfth birthday, that fear becomes a reality. With his father imprisoned, his family's home and possessions confiscated, and his siblings quickly succumbing to the dangers of war, Ichmad begins the endless struggle to use his intellect to save his poor and dying family and reclaim a love for others that was lost when the bombs first hit. "The Almond Tree" capitalizes on the reader's desire to be picked up and dropped off in another part of the world. It tackles issues that many Americans only hear about on World News or read about at The Huffington Post, such as the Israeli Palestinian conflict, the scholasticide that is being imposed upon the Palestinians in Gaza and the current Gaza blockade. But even more, it offers hope. The Almond Tree humanizes a culture and brings characters from a distant land to life, with a family united by love but divided by their personal beliefs. From Ichmad’s staunchly traditional and at times overbearing mother, to his father who believes in the power of education, the crux of the family’s story lies in the growing dispute between two brothers who choose very different paths in order to create a new future. The Almond Tree brings humanity and clarity to the Arab-Israeli conflict and reveals themes of redemption and family sacrifice. Michelle Cohen Corasanti’s personal experience of living in Israel for seven years while attending high school and obtaining her undergraduate degree in Middle Eastern studies from the Hebrew University lends her the perspective, insight and ability to shed new light on a controversial history. 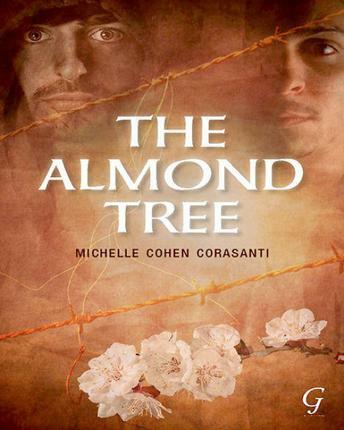 The Almond Tree showcases the resilience of the human spirit and brings forth a message of the necessity of education and a plan for peace in the conflict. When I began to read this book, I cried. It is not just a story of Ichmad Hamid, a Palestinian boy and his journey starting as a young boy in 1953, but of just any little boy or girl, caught between two warring forces. Ichmad's world comes apart, when arms and ammunition are hidden in his garden. He sneaks upon the person hiding them - but for fear of being killed he keeps mum. The Israeli forces find these arms, his father is branded a terrorist - is jailed for years together and tortured. Their house is burnt down and the Israeli forces do not grant a permit to build another house. His world begins to fall apart. He and his younger brother are forced to find work - back breaking work. Unfortunately, a co-worker, deliberately pushes Abbas his younger brother - crippling him for life. It is always the innocent civilians who bear the brunt of the fury. Fertile land is stripped away, education is denied, these measures cause irreparable harm even for future generations, even as lack of clean drinking water, lack of sanitation facilities has a more immediate and equally unfortunate impact. Coming back to the book. A local teacher recognizes Ichmad's talent in maths and physics and coaches him whenever Ichmad has some time to spare after his back-breaking work. This local teacher, goads him to enter a contest - a sole ragged Arab participant in the midst of well to do Israeli kids. There is hope ahead. Ichmad gets a scholarship to study. Professor Sharon, who despises the Arabs eventually becomes his mentor. He makes Israeli friends, he finds support from within the 'enemy group'. Ichmad's father had rightly said that people hate because of ignorance or because of their own past painful experiences - as was the case with Professor Sharon. The bond between Ichmad and Professor Sharon continues to gain in strength and they join MIIT in America. Ichmad also finds love - he marries Nora, an American Jew. This itself has its own impact on his family and her family. She had thought her parent's to be broadminded, but they are unwilling to accept Ichmad. In Gaza, Ichmad's father whole heartedly supports this union, his mother is not that welcoming (not to begin with) and Abbas completely disowns his brother. Unfortunately, while on a visit in Gaza, Nora dies while trying to protect the family's home from the onslaught of bulldozers, intent to rip their lives asunder again. Life goes on, Ichmad buries himself in his work, several long years later he remarries a young Arab wife, who with the help of Professor Sharon and his wife, slowly adjusts to America. Abbas, much to Ichmad's horror has gone underground. Ichmad moves heaven and earth for one last meeting with his brother. He does manage to meet Abbas, now part of the Hamas outfit one last time in Gaza. He is taken on a tour of the Gaza strip by Abbas' grandson Majid. Here on the burnt-streets chocked with fumes from white phosphorous shells, which can cause multiple organ failure, children such as Majid carry backpacks which contain no books. There are no books to speak of - the entire generation is ripped of its right to education. Instead of trading baseball cards these kids trade fragments of shells. Majid shows Ichmad one such shell which says: Produced in Saltsberg, Pennsylvania. Yet, another kid, pops out his artificial eye. Ichmand and his wife Yasmine haven't seen the worse, not just yet. Abbas' youngest son, Khaled has inherited his Uncle's prowess in science and maths. Ichmad promises to take him to America for further studies. This proves to be impossible. Khaled commits suicide because he sees no way out of a dismal oppressive existence. Ichmad realizes that he has killed his nephew by promising him a new life, which he could then not fulfill. In this book, Professor Sharon and Ichmad jointly help create a more peaceful future by setting up a scholarship fund - so that many other youngsters do not have to resort to what Khaled did, but can cling on to the hope of a better future. If two individuals could celebrate their differences,focus on their commonalities and work together to advance humanity, so can others. May the peace forces, be it the conflict area covered by the book, or any other part of the world, gain greater strength. The Almond Tree, nurtured Ichmad and his family, all through the years, we need to learn how to nurture each other. And as we enter 2013, let us all, in our own tiny way, resolve to work towards a more peaceful co-existence. I think The Almond Tree is a universal story about oppression. Through my book, without giving away the plot, I try to show that there's a better way. I try to show that we should celebrate differences and focus on our commonalities to advance humanity, instead of our differences and destroying it. I try to show how strong we would be if we worked togehter to advance each other. I wasn't a writer. I went to Israel in high school and was horrified to find out that everything I had been taught about it turned out to be a lie. I wanted to become a human rights activist, but 20 years ago, there was little anyone could do. After I read The Kite Runner and realized a writer can reach into peoples' hearts and change them forever, I decided to write the Palestinians story. I tried to shine a light so bright the whole world would see the horrible injustices they suffer and help try to bring about a real and just peace. Every life is precious. I think we were put on this earth to lift each other up. With the latest massacre in Gaza, you wouldn't believe how many Americans wrote me that before when they heard of things in Gaza, they just thought Israel was defending itself against terrorist. They told me that my book has made them see the situation completely differently. They were so concerned for the Palestinians in Gaza and so against what Israel is doing. They said it wasn't a far away situation anymore. They felt like they knew the people there. Her motto: "May the battles we fight be for the advancement of the human race." I was very hesitant about reading this book and also about reviewing it. I wrote to the author that the culture in India would be different and the tests prescribed by him in this book would perhaps not apply. Marc persisted a bit and I was intrigued. After all, I hadn't ever read a book of this genre and really wanted to know whether a book like this would help anyone. I've seen friends who have gone through painful divorces and yet others who are anxious to find their soul mate. And what is worse, during the festive season -- people do feel extra lonely. Just to get over this loneliness, they jump into a relationship with disastrous consequences. So yes, perhaps the book could help people think through their relationships, their marriage, their potential relationships/marriage with a clearer head. When I got the book, even as I began to skim through it, a friend who was in a bumpy relationship borrowed it and found it to be a sensible read. Her take: the many questions in her head were more or less set down in this book and all she had to do was honestly answer them and get a clearer picture. Of course, the path she would opt for would be entirely her own. The background: As the author points out in one of his blog posts, Over the past few decades, the common sense knowledge that men and women communicate differently has been proven time and again through numerous studies. Regrettably though, this knowledge hasn't improved our ability to communicate with one another- well, not enough anyway. So if we are aware that men and women communicate differently, then why can’t we learn to communicate better? Perhaps a serious reader of this book, needs to also visit the author's website and the frequent blog posts. 1. Adam and Eve: This section comprises of relationship evaluation tests designed specifically for each gender. The reader has to answer the questions and fill in the score sheets provided at the end of the book. One of the sections dealing with 'Common interests' is the same for both genders. Else the questions are gender specific. For instance, the woman, even if financially secure would take into consideration the income of her potential partner/partner, whereas the man would probably take into consideration not just how she looked when they first met, but also her looks down the years. (It seemed a bit stereotyped to me, but my friend claims it is true - women are held to a higher standard when it comes to their physical appearance). 2.Knowledge is Power: This section is a review of the factors creating the relationship score. Each factor is explained in great detail with suggestions to improve your score and ultimately your relationship. 4. Keepingscorebook.com: Lastly one can hop across to the website, to share scores online and compare it with others (I am doubtful on whether everyone would want to share their scores). I agree that men and women communicate differently. That said, maximum points have been prescribed for your answers for parameters across various sections. You have to deduct the points applicable to your answer from the maximum points to arrive at the difference. The difference is graded and helps you ascertain the severity of your problem. In the Indian context, since the family still does play a crucial part - you marry not another person, but you marry into a family - a higher weightage (maximum points) to questions in this realm would have suited the Indian reader. The book does not wrap you in a feel good cocoon, it brings forth some hard facts, on issues that are best dealt with upfront and honestly. The questions are well set and deal with a variety of parameters against which the partner/proposed partner is scored starting from the basics of education and money; habits; behaviour; attentiveness; religion (a touchy subject in India); relationship with the other family members; to name a few. The book can act as a guide and the author is wise enough to say - the score is just a starting point. Focus first on modifying your own behaviour. Before your receive you must first give. If you have questions buzzing around in your head about your relationship, this book could help you get a clearer picture. I started out writing this book just to see if I could. I had a concept that was making good sense, I was getting good feedback and wanted to see if the idea was correct. As part of writing this book it involved a lot of talking with people to test the various questions. What I came to see is that there is a lot of needless suffering, in that most relationship damage is self-inflicted. We also have a lot of damaged people who are then creating more damaged people, this creates a real cost to society both in terms of human capital and financial capital that threatens all of us. So what started out as a big experiment and adventure for me eventually became much more personal. There is no shortage of relationship material out there, nearly all of it is garbage that at least in my mind does little to break the cycles people are in. The problems with the existing approaches are that either a strict moral tone is used or it turns into psycho babble. I thought people would best be served by a relationship book that engaged them in a non-threatening manner. People also like to be entertained, thus Keeping Score was crafted to deliver factual information in a light mannered format that people would be more open to receiving. I believe we can play a part in shaping the world we live in, and the world our children will live in. While this book started out being about my relationship and my family, it's all part of a bigger picture. What we are currently doing as cultures and societies is not sustainable. This was my attempt at seeing if it was possible to change anything. If you can improve one relationship how many others might be improved because of that? 2) What were the best inputs received from your wife, Kristin - who I understand helped you with the book? The best input I received and still receive daily is that I know almost nothing. Relationships are in a constant state of flux that requires regular repair and special attention. A large dose of humility is one of the best ingredients to start with, something Kristin serves me on a regular basis. Writing this book and all the blog posts has provided us both with a great deal of insight into our own relationship. Things that either of us in the past had spent a great amount of time and energy trying to do for our partners turned out to be of limited value. A fraction of that time and effort spent in other areas provided a far greater return and increased the level of satisfaction in our relationship immensely. The changes involved were small and easy to make but the results were exponential. 4) Do you think pre-nuptial agreements help avoid a messy bickering situation in case of a divorce? Would you advocate a pre-nuptial agreement to everyone? There is little doubt that a pre-nuptial can help simplify matters if a relationship ends in divorce, that's one of the reasons for a pre-nuptial. However some will argue that a pre-nuptial makes a divorce more likely and should thus be avoided. I don't think we can reduce the question of pre-nuptials to the simple arguments that many people insist upon doing so. As part of addressing financial matters in Keeping Score the blog spent some time on financial planning and pre-nuptial agreements were discussed in considerable detail. The only solid conclusion reached was that a couple had better be able to comfortably discuss the issues a pre-nuptial agreement would address. Whether or not a couple decides a pre-nuptial is needed is a personal decision. Every relationship is unique, the individuals involved in a relationship are unique, and the circumstances surrounding a relationship will also be unique - thus there is no one size fits all rule. This link goes into much greater detail and provides a list of six factors a couple should discuss to determine if a pre-nuptial is something their relationship needs. An inability to discuss the factors openly should be a warning sign. 5. 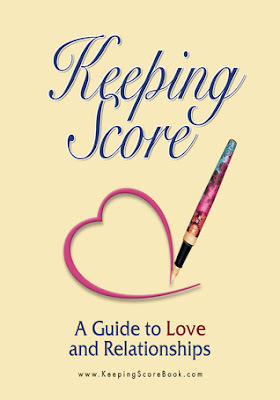 Is it really wise to keep score in a relationship? Score is kept in relationships whether or not couples care to acknowledge it. The problem is that these mental scores are usually one sided and don't reflect the value of the whole relationship. An inaccurate private score is a recipe for problems as the issues are not resolved. Every relationship has it's own unique mixture of issues that should be learned about and then addressed in a manner that both sides find acceptable. Keeping Score merely draws these issues out and provides a format for their discussion that can be a positive and productive experience for the relationship. To learn more about the optimal ratio of positive to negative interactions in relationships see what Dr. Gottman has to say. 6. Is it realistic to expect a relationship to have a perfect score? Observations so far have shown that couples with either a high C or low B score are in very good position. Their relationships enjoy sufficient positive interactions and there is an adequate safety margin in place against unforeseen adverse events. What selection of factors a couple chooses to focus on to arrive in this zone is of their own choice and is customized to best suit the needs of their relationship. Natural systems tend to avoid perfection and focus instead on optimization. This preference allows for a great variety in the solutions that will be found for problems. Just as we have plants that can survive in water we have plants that can survive with very little water. Each relationship will have a different means of optimizing it's interactions to best suit the environment and participants, thus every relationship has it's own optimal score. Mom! There’s a Lion in the Toilet! Title: Mom! There's a lion in the toilet! Five months of travelling around the world, made it one helluva educational trip for the Anderson family. During this trip they were not ‘home-schooled’ but ‘world-schooled’. As Derek, the oldest of the kids, all of 16 years old, pointed out in the opening chapter, it all began with the family tradition. 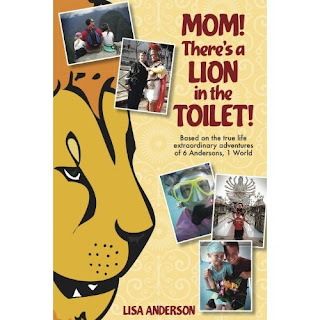 Each new year, the Anderson’s make a family goal and for Rick their father the goal for the coming year was a trip around the world. What is more, each one got to choose where they wanted to go. So, Katie, the 6 year old wanted to ride an elephant and Thailand was jotted down on the itinerary. Twelve year old Jaclyn was studying pyramids and Egypt is where she wanted to visit, Travis, 14 years old wanted to hike the Inca Trials, in Machu Picchu, Peru and other countries were added along the way. Unlike most backpackers, this family also had to pack a pair of dancing shoes! Just before the world trip began, Jaclyn sailed through the competitive Irish dancing feat and made it to the nationals – she had to practice to be in form when they returned for the nationals. With all this and more happening it was a mad rush to their first destination – Peru. Their experiences around the world – six continents to be precise – with countries and locations as diverse as Peru in South America; Los Angeles in United States; Pompei in Italy; Pelopennese area in Greece; the beaches of Thailand; Cario, the black and white desserts the closed zone south to Luxor in Egypt; a lot of travel in Australia and lastly some “rest and recuperation” in Hawaii (where they experienced the Tsunami! ) are vividly captured through the voice of different family members in the book. Fortunately, the Andersons just about escaped the the uprising in Egypt, which took place six weeks after they had left Egypt. Many things stand out in this book. Such as the encounter with two teenage moms outside a swanky mall in Peru. Each of them were holding an infant and gesturing that they needed money to feed their children. After a bit of deliberation Lisa gave them a few bills. Jaclyn wanted to know why. Her response: “That’s a hard question, JC. In honesty, I don’t think tourists, or anyone, should support the action of begging. It sends the wrong message, because it is demeaning for them, and contributes to a negative environment. If looking sad, dirty and needy is rewarded by a big purse, then people in need are not encouraged to make positive changes in their life.” “But if that’s the way you feel, why did you give those girls some money?” she countered. “There’s the dilemma. They looked like they could really use the hand up,” I answered. I wished I had a better answer, both for her and for them. The kids also matured along the way, they learnt how to accept diversity, to learn what acceptable behaviour is, and they developed empathy and understanding. Take for example, their experience at the Arizona Memorial, where many of the staff members were Veterans. Travis protested against the raucous behaviour of another group of tourist-kids, was overheard by a Veteran, who was most touched by the respect that Travis was showing and thanked him. Even issues of genetically modified crops and the impact it is having on the lives of several rural folks in some parts of the world were dealt with in this book. In addition to raising such serious issues, the book also captures vividly the fun and laughter, the Christmas spent in warm Phuket, Thailand and finally the joy of returning to the comforts of home. As the book is written in many voices – it is more in the nature of a family’s diary and makes for an interesting read. That said, it is likely that young readers may not be able to keep track of who experienced what and where. I also wish a biography of the family had been provided at the beginning of the book. All in all, this book is a good read, packed with knowledge and funny moments. It may inspire other families to travel to another country, if not globe trot across the world. Lisa will be sending along two copies for the school that I support, it will be a good addition for their library. Thank you, Lisa. 1) If you could do anything differently on this trip or in planning for this trip, what would you have done differently? Planning for our trip happened on the go - it enabled us to be responsive to our family needs as well as the natural disasters that occurred and had us changing plans. I wish we might have visited the Great Barrier Reef and New Zealand, as we had intended originally, but as you read, that could not happen. I am glad we were able to keep our family safe. 2) Which moment will linger on with you for a lifetime? The feeling of complete satisfaction while sitting in silence at the top of the volcano in Hawaii, watching the sun set over the ocean with our family holding hands together. It still chokes me up thinking about it, because we all realized how much we had seen and done, and how much closer we felt to each other because of these common experiences. It was the exact reason Rick and I took our children away on this adventure, and we all knew it had been accomplished. 3) What would you like to tell a family with school kids, which is hesitating to travel for a long duration? It was a life-changing experience for us, and for our children. I love the saying: Parents give their children two things. One is roots, the other is wings. The five months they "missed" at home were not really missed at all. 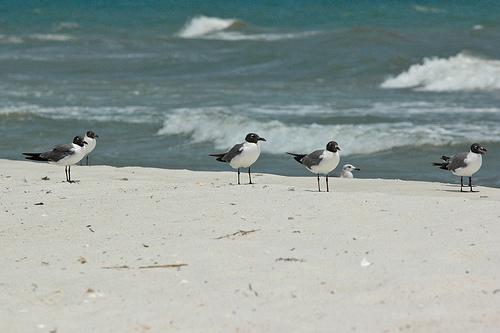 Source of the photograph: Downloaded from Flickr and used as per the terms of the Creative Commons License. Gist as available on GoodReads: Upbeat and contemporary in style, this riveting narrative features an eclectic mix of characters awash with local color. To escape the pain of failed relationships and careers, both Valda and Larissa take themselves to the exotic locale of Dubai, seeking not only success but a general purpose in life. Valda does indeed find fulfillment--and, to her astonishment, love--but all is threatened when she is introduced to a billionaire Sheikh. Her clandestine relationship with the Sheikh propels her into a murky web of deceit, and she turns to her friend for help. As an astrologer, Larissa predicts that Valda and the Sheikh's destinies were decided from the moment of their first meeting, but she keeps the dire outcome foretold in the charts a secret. Together, the two women soon find themselves gambling in a game of cosmic Russian roulette where the stakes are their lives and their adversary is fate itself. Bravely merging genres and sensitively embracing personal relationships, this spiritual and gritty thriller illustrates the complex theme of choice versus chance. For everyone who believes in friendship at first sight, this book is a must read. The characters are well conceptualized and the author's knowledge of the settings, be it South Africa or even Dubai are excellent. I do believe settings also have a very important role to play in any novel. Fate brings Valda, a singer - who has taken up a job in Dubai - to escape from a failed relationship and Larissa (Lara) - an astrologer who is perhaps searching for her own self, together. The client-astrologer relationship fades away in the very first meeting and a true, trusting friendship is born. In one scene, Lara tells Valda - Success is ephemeral and when it ceases to be, you cease to be with it. We are all more than our date of birth, our martial status, and our successes and failures. It's all ashes and dust, but the lessons we learn stay within our soul for eternity. I've been a firm believer that we are in the driving seat of our life's chariot. True, unexpected painful things can happen. Not being able to find a soul mate, separation, illness, loss of a loved one, and so on. It is up to us how to handle such obstacles and overcome them, as we continue to drive on life's pathway. But then, does fate have a say in how things pan out? This is a question I've often asked myself and it was answered by Lara. "When we can't decide or fail to choose, or if we believe we have no choice, fate chooses for us. I believe that we fail to decide or commit to something totally due to a battle raging between our conscious will and our spiritual will; this produces a frustrating stalement of depression and torment. We stumble along until our higher conscious and ego come into alignment, then anything is possible." But, let me not digress. Valda is trapped in the web set down by a Sheikh who owns many hotels, including the one she works in as a singer. 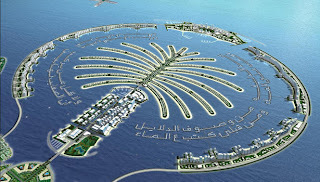 There is perhaps no escape or perhaps Valda is also dilly-dallying a bit in the quest for riches, which her job in Dubai offers. 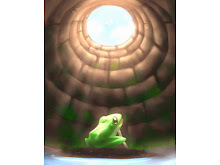 Lara - comes to her rescue and Valda manages to escape from the web she was trapped in, just in time. While this Sheikh meets a justified end... the ending of the book is not perhaps what I had visualised. Lara and Valda meet for one last time in New York, and Valda is eagerly anticipating a visit from Brett - perhaps this romance would blossom? There is an unexpected twist, even as both Lara and Valda are able to move on, albeit in different dimensional spheres (let me not say more, for this you have to read the book). The last sentence in the novel, aptly is: The End, and The Beginning. 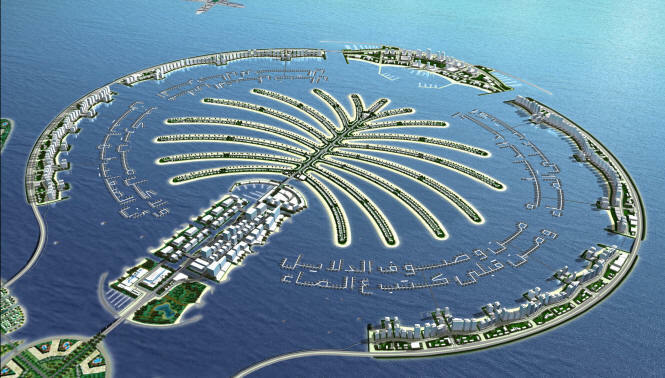 Let me clarify that there is no romance brewing between the Sheikh and Valda, instead the Sheikh is attempting to entrap Valda in devious business deals - as perhaps he has done with many former employees. It is about misuse of power, and instead of the Sheikh it could be just be any other powerful scrupulous employer anywhere else in the world. 1) Tell us something about yourself, how and why did you become a writer? Actually my best friend at school wanted to be an author and at that point I had no idea I could write and no intention of becoming an author. At school writing was actually my weakest subject and it was not until I was seventeen that my English teacher, Mrs Worth noticed that I had talent and gave me some really good advice; advice I still follow today. A great teacher really can make a difference and Mrs Worth was one of those gifted teachers who made a difference to so many of our lives.. As an only child I spent most of my time by myself and so developing characters in my imagination and creating a fantasy world was second nature. At the age of thirty and with the advent of email; I became a prolific email writer to my friends all over the world. Many of them said that they enjoyed my emails so much; that I should consider writing professionally. I didn't take them seriously. I happened to go for a psychic reading at that time and the psychic said, "You are going to be a writer!" - I was amazed that she had picked up on my ability and I took it as a sign that writing was indeed for me. I started my novel A Sealed Fate the next week. 2) Do you still practise astrology? What are your clients actually seeking in terms of advice? I still do astrology, but my time is now taken up with writing, promoting other writers and accounting. My clients wanted definitive answers most of the time; I think they thought I was an emotional and spiritual satnav - "To meet Mr Right take the next left; straight up this street for the perfect job"etc. But should fate be taking all the credit, or blame for everything in people's lives or is it free will, our own choice, however influenced by our surroundings, which govern our actions? My clients and their questions about their lives really got me thinking – astrology is all about freewill, encouraging clients to use the impetus the planets are giving them at any one time to make positive changes in their lives. However it seemed that most people almost wanted to believe that they had NO choice and that it was all written out for them and what they wanted me to do was just tell them how it would all work out, rather than what they needed to do to get the result they wanted. Astrology gives you the ingredients; you still have to ‘make the cake yourself’. I hope that the storyline in A Sealed Fate will get people debating in their heads whether Lara’s prediction became a self-fulfilling prophesy, whether Valda’s choices alone determined her fate or if it all would have happened regardless of ‘the reading.’ A Sealed Fate will make readers think about how much we all put down to fate and how much we could change our lives by taking more control. 3) Who is your favourite character in this book? I had a soft spot for Valda - she is such a risk taker and so cool - I am such a conservative nerd. I experience my wilder side via her. Lara is very much like me and her experiences strongly mirror my own in terms of her life path and philosophical outlook...NB. I have not be on the wrong side of law though LOL! Valda and Larissa clicked instantly and were alike in many ways; however I often think that although Larissa genuinely grew to love and care for Valda, Valda’s feelings for Larissa did not run as deep and she perhaps used Larissa. 4) What are your future plans. I have written two more thrillers: one set in the UK and Japan and one in Italy. I now adhere to more traditional thriller genre guidlines. I am so proud of A Sealed Fate as when I started it, I had not idea that I would have the ability to take it right to the end. 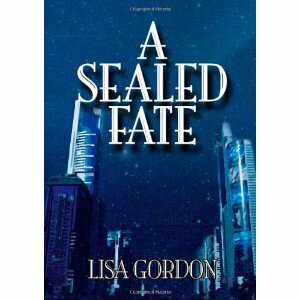 A Sealed Fate is a story with many elements and it is hard to catagorise as one genre; it is a thriller, but it is many different things to different people. Perhaps for those who never question their life path and who never wonder how many strings fate is pulling, it does not have the same meaning. A Sealed Fate was different, a little too different and out the box for conventional publishers. I still make sure my novels contain originality, intriguing diverse characters, peppy dialogue and the unexpected. Location remains an inspiration and I do research my settings thoroughly. Novels should make a reader think and those questions and thoughts should remain long after the story has been read. I have written a play and two screenplays and hope to master the screenwriting genre one day. Writing give one endless possibilities!!! 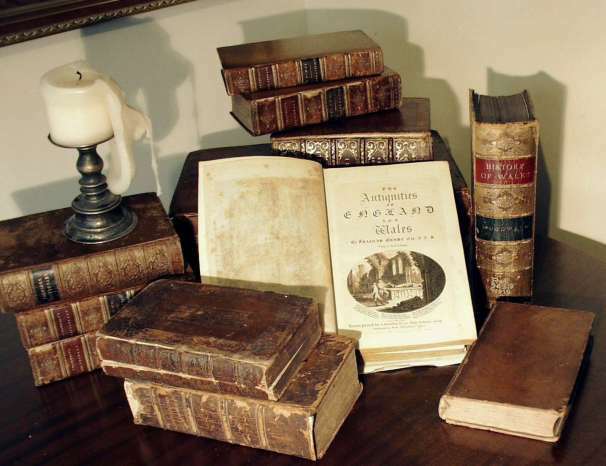 As was once said, "No one has lived only once if they have a read a book!" An only child to a single Mum, Lisa was born and brought up in Johannesburg, South Africa. Despite a lifelong ambition to act, she enrolled at the University of the Witwatersrand to do a BCom Law. She later moved to UK, where she achieved a BSc Industrial Economics Hons Degree from Warwick. Still wanting to be a star - her Mum encouraged her to study 'The Stars' and Lisa became an Astrologer. Lisa worked on hospital radio for many year, before becomming a regular Astrology guest on BBC local radio. As an Astrologer Lisa was always asked by her clients to make black and white definitive predictions about their futures: this made Lisa ponder the role of fate in our lives and how much freewill we really had. Hence the plot for her philosophical thriller, 'A Sealed Fate' was born. Choice versus chance - which prevails? Lisa wrote her book while also writing the ACA Chartered Accountants exams. She hopes to become a successful writer, not an accountant! Lisa is grateful to the wonderful support of both strangers and friends and their inspiration. Lisa is also grateful for having a 'power-house' Mum; who is her biggest supporter and best buddie. In this intimate and remarkably candid memoir, Shoba Narayan, the author of Monsoon Diary, records her dilemma-ridden life as an immigrant straddling two cultures. What follows is a poignant story about love, family, identity and her search for a place to call home. From the thrill of being a naive newcomer in America, to becoming a proud US citizen, to grappling with immigrant parenting challenges, she offers an intense yet humorous insight into the shared dream of the Indian diaspora to return to their homeland. And as the countdown begins to her family’s relocation to India, she shows how the journey back can be more complicated than anyone imagines. Vivid and eloquent, Return to India is a powerful reflection on a country lost, and then found, by a writer of exceptional talent. 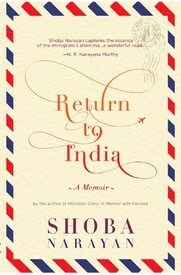 Return to India is a heartfelt memoir about what it means to be an immigrant in a foreign country , the challenges and joys of experiencing life there and the powerful feelings that compel the diaspora to return to their homeland. The book is more than just about one person’s immigrant experience; it’s a bigger narrative is about family, love, friends, life choices and all that which makes coming back ‘home’ worthwhile. In today’s day and age when outsourcing and H-1B Visas have become buzz words of popular culture, the book will strike a chord with numerous readers, especially those who have lived abroad—and those who aspire to. This book, or at least the earlier part of this memoir, is set in the era when the American way of life – including consumerism, had not yet crept into Indian society, when one did not have much choice when it came to cars, or for that matter toothpaste or chocolates or when the only telephone you could possess was the black one (for which there was a long waiting list) and you had to actually dial and not punch the numbers. Thus, the movie Willie Wonka and the Chocolate Factory, a multitude of Disney characters, Archie comics, James Bond, all made America seem a dream land, at least for Shoba Narayan who was growing up in Madras (now called Chennai) in South India. American also meant freedom, it was a land where people recognised the need for personal space and could express themselves without being berated by their elders. Just like Shoba Narayan, who has penned her memoir – Return to India, many youngsters from all corners of India dreamt of going there for further studies never to return. Students found jobs, obtained a green card, or took the oath and became US citizens and settled within the comfort zone of American Indian societies or if they were a tad adventurous married a foreigner (generally an Amercian). What I liked best about the memoir of the entire journey (almost twenty years were spent in America) was the sheer honesty – the good, the bad, the ugly, all experiences and her own behaviour were honestly portrayed. Going to America was Shoba Narayan’s childhood dream and her mother once poured a bucket full of cold water over her head, as she – then only a child - insisted in the dead of the night that she would go to America (by pouring cold water her mother tried to exorcise her of this desire). Her orthodox family hailing from the Tamil-Brahamin community (a high caste community of South India) were hell bent against her going overseas, but she and her next door neighbour, Vicky (who was almost a brother to her) planned and plotted for their independence – which they felt was possible only if they went to America. 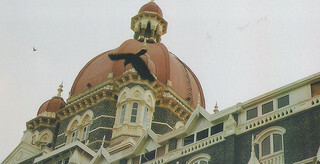 Years later, a fully paid scholarship, where financial support was guaranteed by Mary Jacob, dean for international students at Mount Holyoke, as distant relatives in this dream land did not step up and visa officials insisted on the guarantee despite the scholarship, made Shoba’s dream come true. She talks of her first crush, Zahid whom she met at the serpentine queue outside the US Counsulate office, as they stood nervously for a visa. She actually brought him home for a cup of tea, springing further fears that America would transform her and perhaps she would end up marrying outside her caste. Yet she, Vicky, Zahid, and Midnight (another acquaintance hailing from a rich family) finally made it to this foreign land. Shoba points out how all immigrant students seemed so much lighter as they stepped on American soil and cut their apron strings. For instance, she had meant to obtain a masters in psychology, but America spurred her to follow her passion and she ended up as a full fledged art major with a specialisation in sculpture (something that in India would be perceived as futile as it would not result in a well paid job). She also learnt to accept diversity and had tons of gay friends, another aspect which would not have gone down well in Indian society – at least back then. Even as Shoba kept in touch with Vicky and Midnight and on occasion with Zahid, eventually she married Ram, who worked on Wall Street – a meeting between the two was arranged by family acquaintances and the knot was soon tied. Following the birth of her first child, Shoba began to yearn for India. To inculcate Indian tradition in her young five year old daughter she actually dragged the family to a temple on Sundays, wore a sari day after day for a week, and even tried her level best to enrol her daughter – Rajini in an exclusive India summer camp. This plan flopped as Rajini insisted on a ham sandwich during the interview session which was held at a restaruant. While they had followed a vegetarian diet at home, Rajini just wanted to adopt to the culture of her own American school friends – of course the timing of this demand was so wrong! Zahid has completely transformed himself and was now called Zaid. His spouse was also American and he preferred to stay far removed from his Indian origins. Perhaps this or for that matter Rajini adopting Britney Spears as her idol, set alarm bells ringing for Shoba, even as Ram did not want to move back. To illustrate the importance attached by youngsters towards being crowned prom queen or king unsettled her, the formal process of arranging for play-dates was a concept alien in India where kids roamed freely in the neighbourhood and she yearned for such an informal atmosphere that India could provide. Post the birth of their second daughter, with ageing parents in India, even Ram was inclined to move back. He sought a transfer to the emerging markets division of his investment bank, moved to Singapore and then finally they made it to India. The author loved her life in America, her American friends and her Indian-American friends. But as she pertinently points out in one paragraph: If there was a way to combine America’s public volunteerism (that shone during 9/11) with India’s private hospitality (where even unwelcome guests are made to feel welcome), that would be paradise indeed. But such a place doesn't exist, for if it did, others would have discovered it by now. It is a well written book and I loved reading it. But today the scenario has changed. Youngsters in India are more vocal and expressive and know exactly what they want to achieve in life. Further, today, several American’s want to work in India, to have the India experience on their resume; India is more liberalised, more accepting. Barring a few sectors, 100% foreign investment is freely permitted and many American companies such as GE, Sun, Microsoft have 100% subsidiaries in India. The retail sector is opening up in India, Starbucks has just set up shop a few weeks ago in Mumbai and is set to expand. McDonalds has existed here almost forever as has Coca-Cola. America is now looking at Indian students for its Universities overseas, so as to earn more revenue (sadly one may not see another Mary Jacob – nor the generous scholarships that were once available to foreign students). Tighter immigration laws and more opportunities back home in India will also ensure that these students return to their mother-land. Shoba Narayan is a noted memoir writer and columnist based in Bangalore. She has won the MFK Fisher award for Distinguished Writing and was awarded a Pulitzer Fellowship at Columbia University’s School of Journalism. Her first book, Monsoon Diary: A Memoir with Recipes was published in 2004 to wide international acclaim. She writes a weekly column, ‘The Good Life’, for Mint Lounge and contributes features to Condé Nast Traveler, The New York Times, The Wall Street Journal, The Washington Post, Time, Newsweek and The Financial Times. Photograph: This photograph was taken by me, during my visit to Ellora caves, Aurangabad, Maharashtra, India. 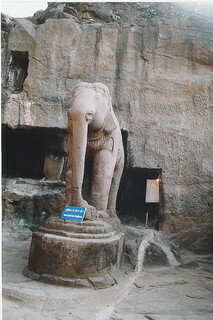 This elephant stands majestically outside Cave 32 (Jain caves). (This photograph may be downloaded and used by you for non-commercial purpose with proper attribution). A writer's retreat seemed the perfect chance for Dee Whittaker to take her mind off her marital difficulties. However, she meets five of the most hideous writers ever to have mastered a QWERTY keyboard, and her problems quickly multiply. Things escalate further when the handyman winds up dead. After fleeing from the island, Dee attempts to get her life back on track but begins to notice that something strange is going on. The stories written on the island are coming true and hers is next - complete with a murder. Her estranged husband makes an unlikely sidekick as the two of them try to stop the literary copycat killing an innocent woman. Packed with topical references, Pompomberry House provides a satirical look at the emerging world of indie publishing. Over the past one year or so, I’ve been interacting with Indies a lot. Be it via GoodReads – or rather various discussion groups in GoodReads, on LinkedIn groups or email interactions while agreeing to review or god forbid – not review their books. Fortunately, most of the Indies I’ve interacted with are kind, generous, creative souls, willing to learn from each other and share their knowledge. Only a few whom I encountered had the most pompous egos ever seen and a critical pin-prick could have them shoot from their chair up in the air like a wailing balloon, designed to screech as it soars upward and slowly deflates. Dee, the main protagonist in this book and an Indie to boot, is not as lucky as I am. Hoping to run off from a chaotic personal life – rather a jobless, careless husband who refuses to grow up, she heads off to a writer’s retreat pretty much in the middle of no-where. If being glared at and mocked at by evil sea-gulls wasn’t enough, she finds herself surrounded by larger than life whackos, who presumably are gathered here to let their creative juices flow and pen an anthology. If Dee hasn’t read their book – she just isn’t well read, if Dee doesn’t lust for one of them – well something must be wrong with her. The book is dripping with humour and is an enjoyable satire on Indies, it is replete with fearsome critics and Kindle book review groupies. Dee is one of the first arrivals at Pompomberry House, where the retreat is being held. She anxiously waits for others to arrive and lustful, well presented Annabel, who has splashed her photograph all over the cover of her book is the first Indie she meets. Her claim to fame? ‘Falling for Flately’ is a number one best seller. “It got to the top of Welsh contemporary romantic suspense fiction priced at under two pounds for three hours.” When Dee asks what the book is about, she learns it is about a girl who falls for a man called Flately. The twist in the story – Flately is her boss. “Otherwise it would be so boring,” explains Annabel. The others arrive, some of them, like the handsome Rafe prefer to make a grand entrance - each of them, Dee included, are well-conceived characters bursting with Indie pride. They settle down and the workshop begins. Each of them pulls out a piece of paper from a hat stating something about someone in the group. Predictably, they have to guess who that person is. Dee picks up a chit that reads: I die tomorrow! Biff, the care-taker dies. Dee flees from the island, even as the others decide to hush up this murder. Unfortunately the police do not believe her. The wild carnival ride continues, as the stories in the anthology begin to come true (Dee’s contribution was published without her knowledge and is in first draft, but let me not digress). So, a pig jumps over a cliff (it is rescued), a marriage is staged for a garden gnome with a China doll, a human foot is washed ashore and Dee gasps as she realises the story she had contributed is about a murder! There are darker stories contained in this anthology, will these also come true? Will the murderer stop at nothing, just to prop up the book sales of this anthology (and yes, sales are shooting up). The only person Dee can turn to is her estranged husband – Gareth. The author in this well written satire spares no one, not the egoistic Indie writers, nor the self-acclaimed critics (some of whom live to criticise), nor the overzealous forum members. Adding an element of whodunit provided the right measure of spice. An enthralling read, but my Indie friends (and that goes for me – perhaps a wanna be Indie author) do need to have the ability to laugh at some hard truths cleverly captured in these pages. I would say it is a must read for all Indies, or at least for those who have a sense of humor. Non-Indies will also enjoy this book. 1) What inspired you to write this satire? How have majority of the Indie authors who have read your book reacted? Like you, I’ve experienced a lot of interaction with Indie authors, particularly in forums. As you point out in your review, most self-published authors are pretty gentle, but we do have our flaws. I could see that those flaws were ripe for mockery. Interestingly enough, Indie authors, reviewers, and the types ridiculed in the book, have enjoyed it the most. Perhaps because they can easily relate to the characters and recognise traits belonging to people they know or even themselves. Feedback from people who aren’t in publishing has been more mixed. 2) Who is your favourite character in this book? It’s so difficult to choose. I think Dee is probably the most tolerable but she really is the best of a bad lot. Rafe Maddocks was very enjoyable to write. 3) Where do you think the Indie scene is headed? What would be your advice to an aspiring Indie author? Thanks to the rise of Kindles and other e-Readers, as well as the introduction of low-risk print-on-demand services, it had never been easier to self-publish. With so many ‘big names’ having risen to success without the backing of a main stream publisher, the public are really beginning to recognise that talent and a publishing deal are not synonymous. This means that, as more and more talented Indies hit the headlines, readers will become increasingly willing to take a chance on books by other Indies. 4) Which book are you working on right now? I’ve just sent a copy of my new novella to Text Mender for proofreading. It will be published just before Christmas and will be available exclusively to Kindle. 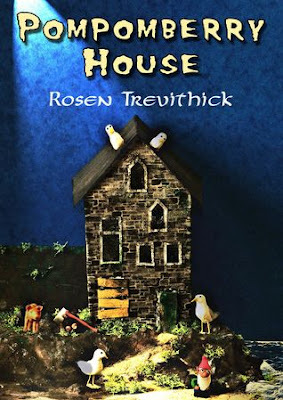 It’s a much more serious book than Pompomberry House, exemplifying my other favourite genre : psychological fiction. Normally, I shy away from awards, but when the lovely A.K. 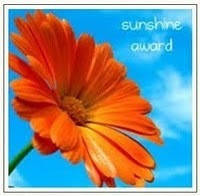 Andrew, nominated me for the Sunshine Awards, I took the plunge. I also wanted to share some of my favourite blogs. A.K, as she is called, in our LinkedIn group, which is where I first met her, currently lives in Brighton in England and is busy penning a book - Under the Bed. It is her second novel and it juxtaposes the changing political climate of 1969 and 1950s Mccarthyism via Izzie, a young artist in NYC East Village and Midge, a wealthy, but broken middle-aged woman. I've tweaked the rules slightly. Don't fret, I am answering the questions about myself, but for now, I am selecting six of my favourite bloggers - others will follow. I have also not nominated anyone from our LI group, but nominated others so that our LI group can visit some of my favourite blogs, which perhaps they haven't visited earlier. I live in Mumbai, a coastal city, and one of the world's most crowded cities. I love Mumbai, but the weather can be hot and humid and of course we have our long drawn out monsoon season (we can't do without the monsoon) but the traffic snarls aren't exactly enjoyable. I would say December is my favourite time of the year, it is the only time when there is a slight nip in the air. 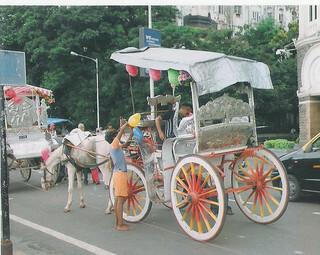 Tourists throng Mumbai during this time, the daily wage earners, right from the coconut vendor on the beach to the 'victoria' - horse drawn carriage driver near the Gateway of India, do brisk business and there is a spark of joy all around. Festivals are becoming increasingly commercialised, be it Diwali or Xmas. I would not term it as a festive movie, but Charlie Brown's Christmas is so touching. Linus rocks. Making a tiny difference. By analysing policies and how they impact you and me, and what can be done, I hope to make a tiny difference. So yes, my other passion writing gels in well with the passion to make a tiny difference. I also love collecting story books for children. You can see details of the school, to which books can be sent on the side bar. I grew up on a diet of story books and I think all children deserve story books. Well, I love the coolness and quietness of the night. I am an owl and work best at night. Wildflowers that I suddenly chance upon are my favourites. 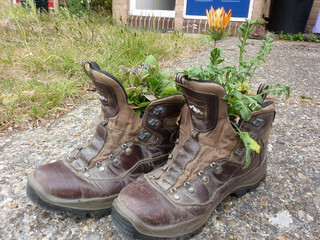 You find them growing against all odds, clinging to the sides of the busy road. That said, I also love daisies and sunflowers - they seem to have smiling faces. Pure and fresh, coconut water. Jogging or brisk walking by the sea shore. I love running on sand. I love unplanned vacations. Just packing some things in a rucksack and taking off. I don't have a favourite vacation, but enjoy all my trips. 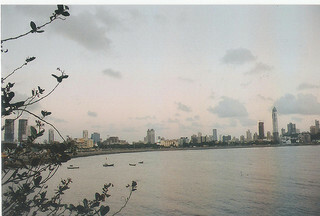 I leave you with some photographs taken by me in Mumbai over the past few years. change, I stop by Annie's blog. So can you. Dilip Sir, as I prefer to call him, is a blogger whom I've met in person. A LinkedIn recommendation cites Brigadier Dilip Naidu as being an officer and a gentleman and after having met him, I could not agree more. He has also been awarded the Vishist Seva Medal for rendering distinguished service to the Army. A retired vet, he now moulds young minds and teaches leadership at two institutions in Pune. His students are extremely lucky. I deeply admire Marianne. It is people like her who renew my faith in humanity. She has served in the United Nations mission in Afghanistan and is focused on human rights and gender issues. You also need to check out her awesome book - Zen under Fire, Penguin, NZ, 2012. Back home in New Zealand, she teaches yoga online and continues to be a human rights activist in various fora. Jules and I first interacted when she came across my blog post seeking books for under privileged children in a school in Bangalore, South India. We have been in touch since then. Jules is extremely perceptive, and vividly captures everything through her 'small stones', which you will find on her blog. And last but not the least, I'd like to nominate Rajesh K of Destination Infinity. 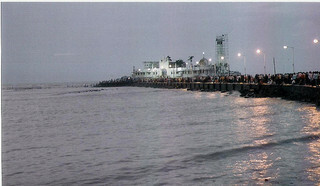 Rajesh through his blog brings alive his city Chennai in South India and much more. I look forward to these nominees passing on the awards.